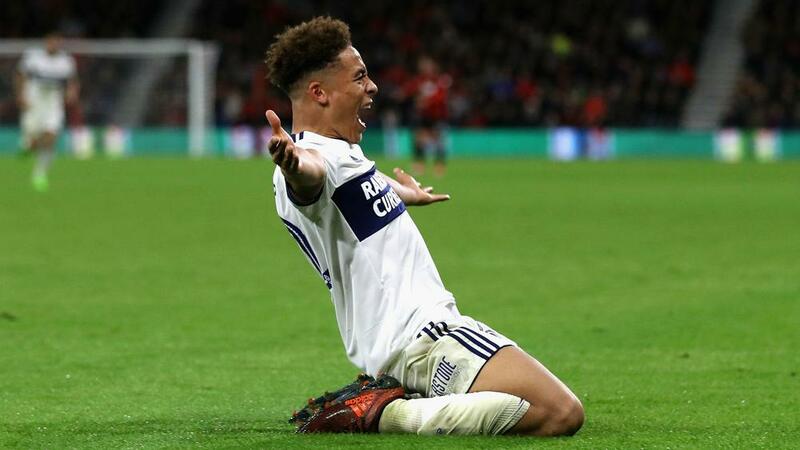 Marcus Tavernier's first Football League goal lifted Middlesbrough into the Championship play-off places as a 1-0 derby win over managerless Sunderland kept the Black Cats rooted to the foot of the table. Sunderland, which sacked Simon Grayson on Wednesday (NZDT) after a 3-3 home draw with fellow struggler Bolton Wanderers stretched its winless run to 13 league games, had its chances at the Riverside Stadium, particularly in the opening 15 minutes. However, it was an early strike from teenager Tavernier that proved decisive and earned Boro a third win in succession, moving them up to fifth. Sunderland, with Billy McKinlay and Robbie Stockdale in caretaker charge, should have been ahead inside three minutes. Darren Randolph fumbled a long-range effort from Didier Ndong into the path of Lewis Grabban, who looked certain to score but instead fired his shot into the left leg of the Boro goalkeeper. That miss was soon punished as a fine passing move from the host ended with the lively Martin Brathwaite latching on to a clever reverse pass from Stewart Downing and crossing for Tavernier to tuck home at the near post. The initial response was strong from Sunderland, who were forced to substitute Billy Jones after the full-back collided with team-mate Darron Gibson, but the game grew scrappier as the first half drew to a close and it was Boro who looked stronger after the interval. After Ndong had limped off to deal Sunderland another blow, Brathwaite spurned a fine chance to double his side's lead in the 56th minute, shooting straight at Robbin Ruiter from 12 yards before the visiting keeper reacted sharply to grasp the ball at the second attempt. Ruiter also palmed away a Downing free-kick with 14 minutes remaining, but one goal was all Boro needed as Aiden McGeady spurned a late chance at the other end.